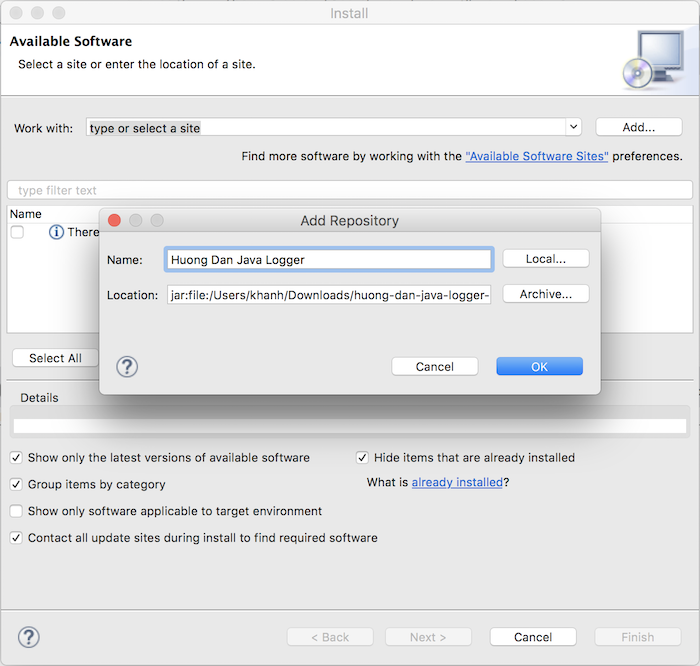 To install the Huong Dan Java Logger plugin into Anypoint Studio, you need to download the setup file first. 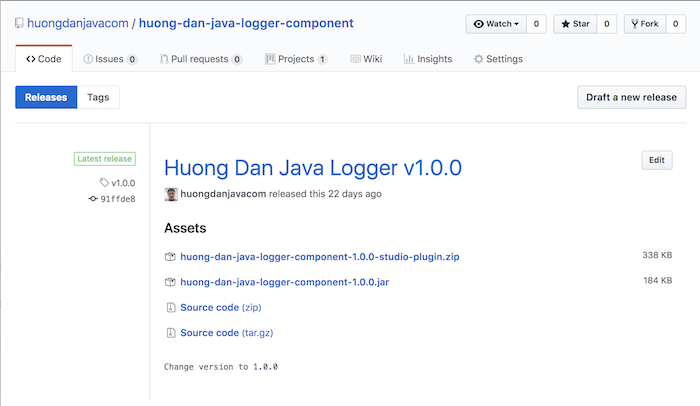 You can go to the release page of Huong Dan Java Logger on GitHub at https://github.com/huongdanjavacom/huong-dan-java-logger-component/releases to download the latest release. 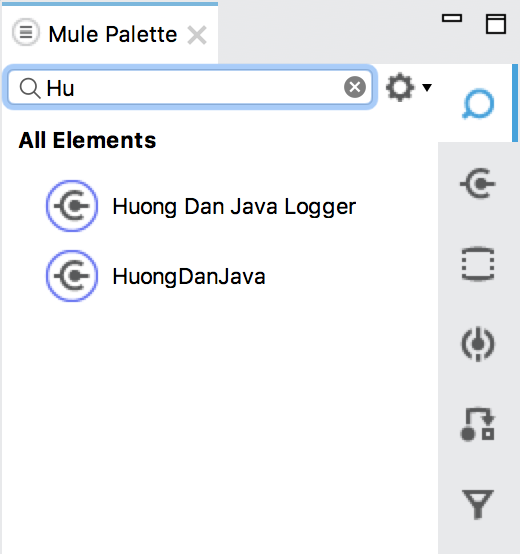 Currently, the latest version of Huong Dan Java Logger is 1.0.0 and the file name is huong-dan-java-logger-component-1.0.0-studio-plugin.zip. 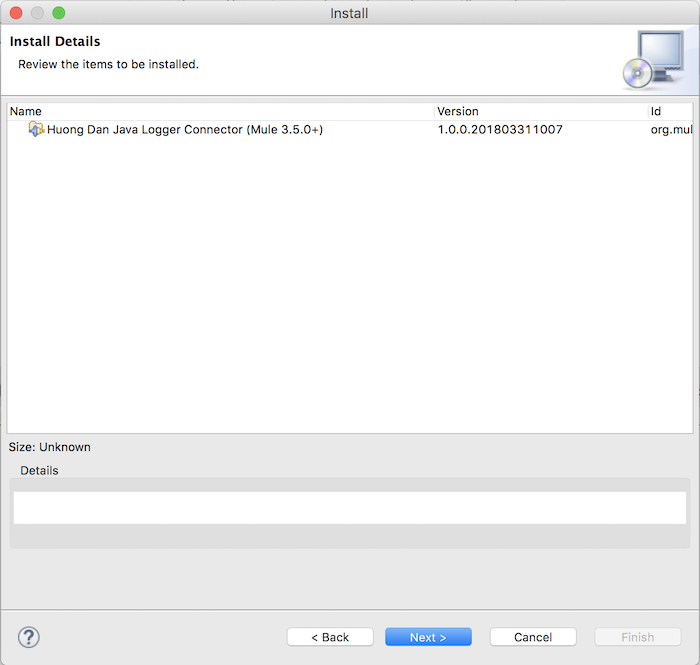 To install Huong Dan Java Logger, in Anypoint Studio, select Help then select Install New Software ….. 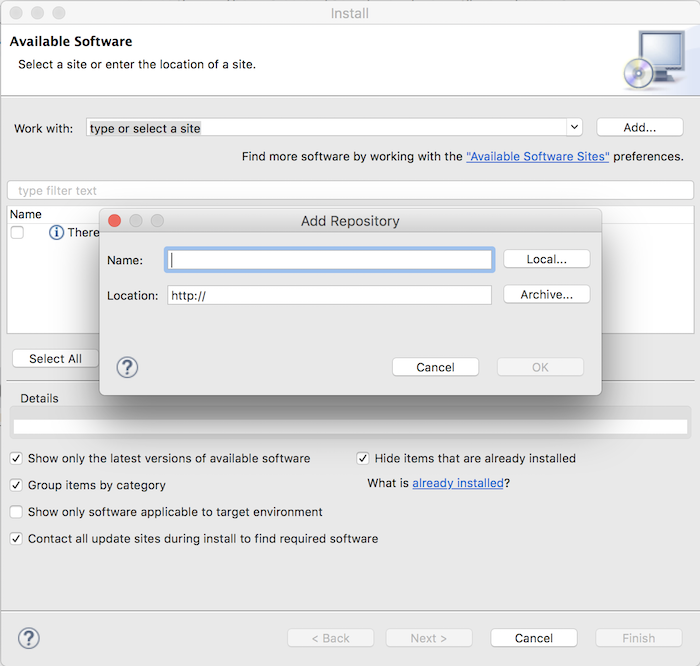 In the Name field, enter the Huong Dan Java Logger, and in the Location box, click the Archive button … then select the file huong-dan-java-logger-component-1.0.0-studio-plugin.zip file which you have downloaded above. 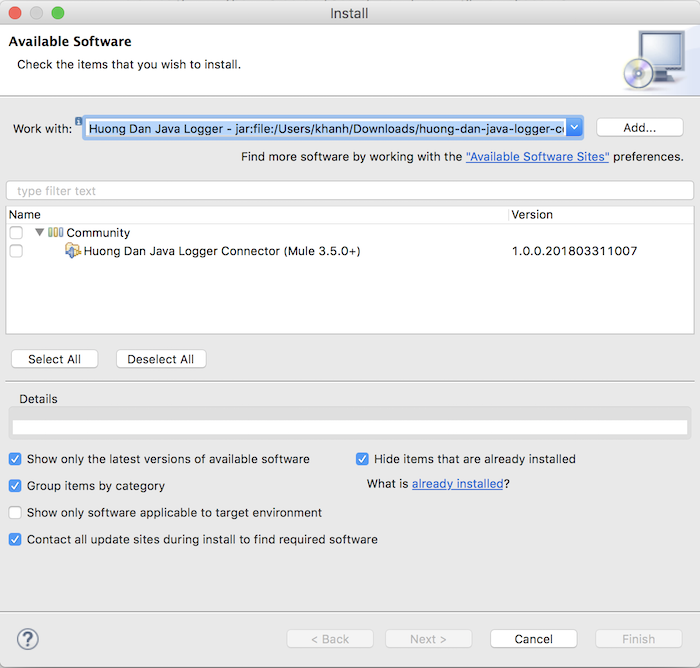 Please select the Huong Dan Java Logger Connector button and click Next! 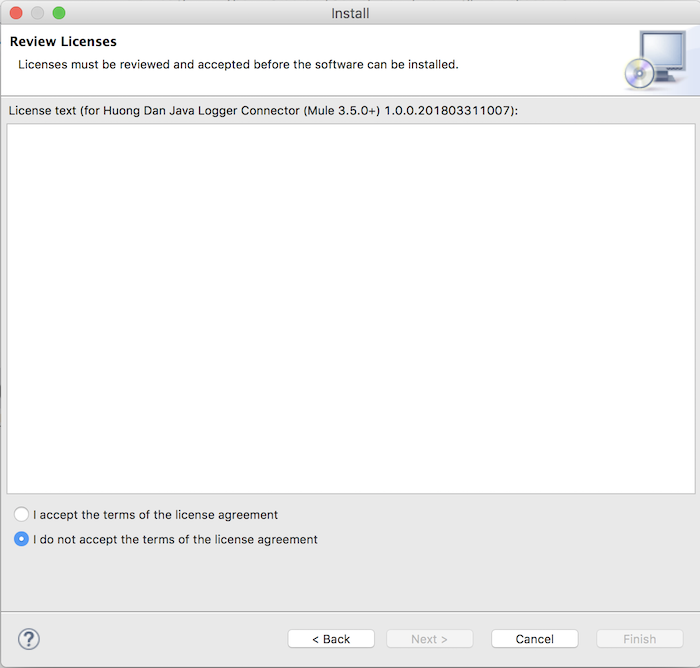 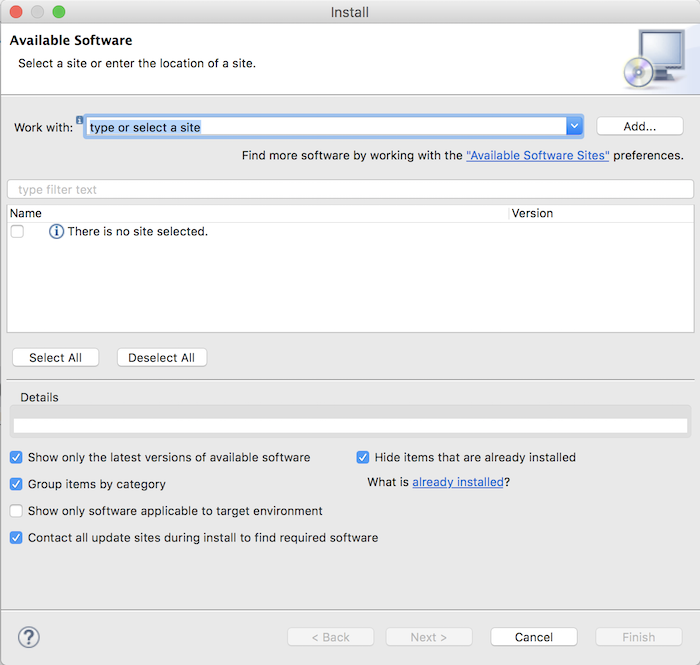 Select “I accept the term of the license agreement” then press the Finish button to start the installation.